Last year, GIANTS Software stuck its toe into the esports arena with the first run of the Farming Simulator Championship. This first season apparently went so well that the company has announced not only is Season 2 of the Championship happening, but that a "full-fledged esports league," known as the Farming Simulator League, will be held alongside it. 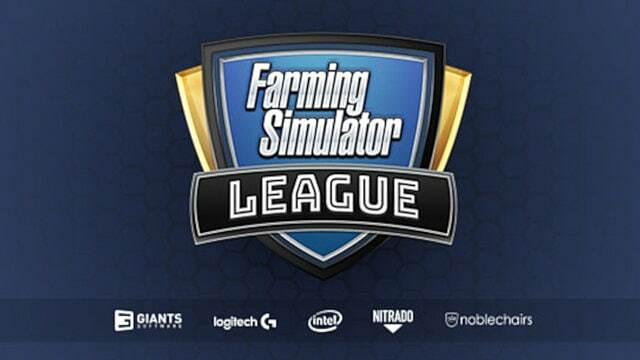 The new league will feature 10 tournaments across Europe, with the best teams competing for the title of Farm Simulator champion and $113,848.50 in prizes. Players will also have a chance at more money during the duration of the championship, bringing the prize pool up to $284,621.25. To make the Championship happen, GIANTS Software has teamed up with a selection of well-known companies from the gaming industry to provide the prizes, including Logitech G, Intel, Nitrado, and noblechairs. 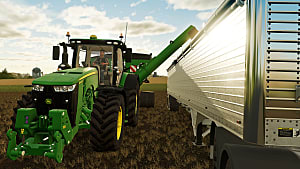 According to GIANTS Software CEO Christian Ammann, "competitive farming" has been a big deal among Farming Simulator fans for a while now. However, it's not something that's been done in an esports format. Since the company is comprised of quite a few esports fans, GIANTS decided it would be a good idea to create the League and "show the world that farming can indeed be fun and competitive at the same time." Admittedly, as a fan of esports ourselves, Farming Simulator isn't really a game we'd first considered as a potential focus. After all, we're used to MOBAS like SMITE and League of Legends, World of Warcraft PvP focused tournaments, CCG-related competitions, and fighting games like Street Fighter V and Super Smash. But there's a fan base for everything, and among real-world farmers, Farming Simulator is the main attraction. So, why wouldn't we eventually see it in esports, too?